Spinal Muscular Atrophy (SMA) is a rare but progressive and deadly neuromuscular disease. Children suffering from SMA are born without SMN1 gene, and the disease is characterised by progressive muscle wasting and loss of the basic life functions, such as walking, food digestion, swallowing and breathing. SMA does not affect the brain functions nor cognitive functions. In fact, the research found that the patients are often extremely intelligent and very sociable.  SMA takes the first place as a genetic killer of children under two years of age. Spinal muscular atrophy is an inherited disorder and is passed on in an autosomal recessive manner. It means that both biological parents must be carriers of the recessive gene for SMA and in that case they have a 25% chance of transmitting the disease to their child. Recessive gene carriers are completely healthy and do not know that they have this gene. One in 40-60 people is the carrier of the gene for SMA. One in 10,000 newborns is born with SMA. People whose babies are born with this devastating disease do not have a family history of spinal muscular atrophy, they have never heard of this disease, and they find out that they have transmitted it to their child only after the child’s diagnosis, through genetic analysis of the blood. The disease is equally present in all races, nationalities and sexes. People who are not carriers of this disease have 2 SMN1 genes and usually 2 SMN2 genes. SMA carriers have only one SMN1 gene and several copies of the SMN2 gene. Since only one SMN1 gene produces a 100% of “survival motor neuron” (SMN) protein, which is vital for maintaining the life of motor neurons and nerves that control the muscles, the second copy of the SMN1 gene is unnecessary. However, in 25% of cases, SMA carriers do not transmit any copies of the SMN1 gene, thus giving birth to a child suffering from spinal muscular atrophy. In 50% of cases, SMA gene carriers transmit one copy of the SMN1 gene, and have children who are carriers of the disease, but are asymptomatic (do not suffer / do not have symptoms). In 25% of cases, SMA carriers transmit two copies of the SMN1 gene to the child, and these children are not even carriers of the disease. Due to this genetic transmission mechanism, this devastating disease is spread through families and generations without knowing, until a child suffering from SMA is born. Conclusion: Children affected by this terrible disease are born without the SMN1 gene and this is the cause of Spinal Muscular Atrophy. They have several copies of SMN2 genes that produce only 10-30 percent of the deformed and nonfunctional protein. The presence of this protein keeps them alive, but it cannot compensate for the lack of the primary SMN1 gene. Over time, the level of this nonfunctional protein in the body decreases, leading to progressive muscle atrophy, loss of the functions, paralysis and death. SMA is manifested by clinical symptoms at first. A final diagnosis is determined by a genetic test of the blood. Parents and siblings of a diseased child should also perform a blood test to determine their carrier status. There are four basic types of SMA: types 1, 2, 3 and 4. The type SMA is determined based on the age of the patient at the moment when the disease manifested itself and the highest achieved level of development. Type 1 is the most difficult form of SMA. It is mostly diagnosed in the first six months of life. Babies with SMA type 1 can never sit on their own. Progression is extremely rapid and acute. Symptoms such as muscle weakness and poor body mobility, problems with digestion, swallowing, breathing and coughing usually show up soon after birth. These children are fatally ill and need a feeding tube, respiratory and coughing apparatus, etc. A life span of the children suffering from SMA type 1 is up to two years. By this time, these children have total paralysis and they even lose the ability to smile. They can live more than two years when using the needed technical equipment, but constant and intensive care is required. Of all SMA patients, 60% are type 1. Even though this is the most common type, there are not many patients with it because of the high percentage of mortality. Type 2 is generally diagnosed between 6 months and 2 years of age. Most often, the first signs are a delay in achieving development milestones or completely missing them. Children with type 2 can usually sit without support, although they often need help to take up a seated position, but they can never walk on their own. They become weaker in time, they lose the ability to sit, hold their head, use their hands, swallow and breathe. At some point they begin to require a feeding tube, breathing machines, spine and hip surgery because of the scoliosis and deformities and they also need constant and intensive care. Type 3 is usually diagnosed after 18 months of life, and before three years of age. If the symptoms began later or were a milder form at the beginning, in those cases type 3 can be diagnosed in late adolescence. Type 3 children can walk alone, but they become weaker in time. Their muscles start to atrophy and they begin to lose vital functions. At some point they lose the ability to walk, feel the progressive weakness and limited mobility of the hands and feet, have problems with food digestion, swallowing and breathing. Many Type 3 patients also require respiratory and coughing devices, spinal and hip surgery due to scoliosis and deformity, as well as various types of physical help on a daily basis to be able to function. Type 4 is very rare. It mostly appears during adulthood and causes mild motor difficulties. Although the symptoms may occur after 18 years of age, they are generally only reported after the age of 35. Unlike many other serious genetic diseases, the genes that cause Spinal Muscular Atrophy are known and so are the processes in the body that appear as its consequence. This allows researchers to focus precisely on modifying the genetic deficit, thereby stopping progression of the disease and improving body functions and helping patients to have a better quality of life and longer life expectancy. The largest number of studies is done to stimulate the SMN2 gene to produce as much functional protein as possible. Also, there is a study dealing with the injection of a non-existent SMN1 gene. At this point, a drug called Spinraza is the FIRST and one medicine for spinal muscular atrophy. The FDA and EMA approval of Spinraza has finally given hope to the patients and their families. Spinraza acts on the SMN2 gene and has proven to be a very effective therapy for types 1, 2 and 3 who participated in the study and those who received the drug after approval by the FDA and EMA.